Many people who have followed the story of Andrea Rossi and his Energy Catalyzer are aware that Rossi's claims are poorly supported by scientific facts, yet these people can't imagine how Rossi intends to profit from this deception. According to Rossi, his device produces commercially practical levels of excess heat through a nuclear process. Many people are aware that the amount of steam produced in Rossi's device, as shown in a video from Ny Teknik and a video from New Energy Times, is inconsistent with the amount of steam Rossi claims his device should make. 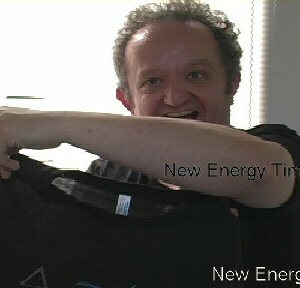 June 14, 2011: Giuseppe Levi, professor of physics at the University of Bologna, holds up black T-shirt to help make the extraordinary amounts of steam exiting from the Energy Catalyzer visible on camera. Detail photo of steam shown on the right. People who have followed Rossi's Energy Catalyzer story know that he has claimed to have a market-ready device since January 2011 but that he has failed to show evidence of delivery of any such device. Nevertheless, some people have been impressed with his confidence and the credibility he has obtained through his association with members of the scientific community. These people have also been impressed with the fact that Rossi has entered into discussions with prestigious companies such as National Instruments and institutions such as NASA. Although Rossi has managed to get his foot in the door, none of those discussions has led to research agreements. Rossi has, however, used those discussions to boost his credibility. Followers of the Rossi story ask, "What is Rossi's endgame? If the Energy Catalyzer doesn't work, how could he stand to profit?" This analysis will answer these questions. This analysis will also explain the real motive for Rossi's 13 public demonstrations of the E-Cat. When Rossi and his colleagues conducted their first public performance of the Energy Catalyzer on Jan. 14, 2011, some people wondered why Rossi, along with university scientists, appeared to be doing a publicity stunt. Technology journalist Mats Lewan of Ny Teknik offered an explanation of Rossi's motive in a Feb. 2, 2011, article that included quotes from Rossi and Sergio Focardi, professor emeritus at the University of Bologna. "Rossi admits that the demonstration with a secret bottle created much uncertainty," Lewan wrote. "Therefore, I would have preferred to wait," Rossi told Lewan. "It seems, instead, [that it was] Rossi’s scientific adviser over the past four years, Professor Sergio Focardi, who wanted to show off the results," Lewan wrote. “'I would have done it earlier. You know, when you achieve results, it is gratifying to spread the word on them. Moreover, I am 78 years old and cannot wait that long," Focardi told Lewan. Rossi contacted Focardi in 2007, as Rossi stated in a May 5, 2011, Italian public-television broadcast. "I approached [Focardi] to ask him to refute my hypothesis, telling him I'll pay the consulting [fee] in order for him to explain to me why this cannot work," Rossi said. Focardi had been part of a team that had obtained significant but intermittent results with nickel-hydrogen gas LENR experiments. Focardi had no motive to refute Rossi's hypothesis; he was eager to ride on his perception of Rossi's success. 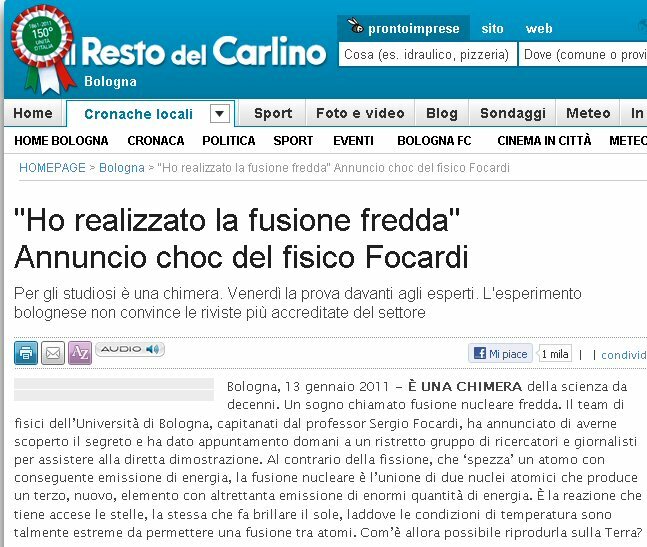 "I have realized cold fusion," Focardi told Il Resto del Carlino. "Though I should not be the one to say, this is the biggest scientific discovery in the history of mankind," Focardi told Panorama IT. Very few people have asked why, if the Jan. 14, 2011, performance was to gratify Focardi, Rossi put on 12 more performances for investors, members of academia, and the media? This analysis will explain why. Rossi had at least two profit strategies: one was short-term, the other long-term. For the long-term strategy, Rossi has known for many years that issued patents, and even pending patents, given the right development, or simply promotion, are money in the bank. Rossi also knows, through his own experience, that even devices that don't work can, at least in the short term, lead to cash. The early Energy Catalyzer story was reported primarily by Mats Lewan of Ny Teknik in Sweden. According to Lewan's quotes from Rossi, Rossi was using his own money to finance the research and development of his Energy Catalyzer. Feb. 7, 2011: "We are fully funded by our customers." March 10, 2011: “I am assuming all the risks. No one is risking any money except me. ... The €500,000 I am paying to the University of Bologna is my last money, but when I deliver the one-megawatt plant to Defkalion, I get cash back. From then on, 50% will be used for expansion and 50% to treat children with cancer. I will personally look for the children whose families cannot afford their care." March 11, 2011: "All the money spent up to now has been my money. Furthermore: we are not searching [for] venture capital, we want to sell our energy, taking upon us all the risks, we are paying for all the research and development activity, we are not asking money from anyone. Our customers pay money only after successful testing of our E-Cats." How could Rossi be fully funded by his customers in February, yet have received no money from customers in March? This is one of dozens of apparent Rossi lies. Rossi also used the terms "customers" and "investors" in confusing and inconsistent ways. When it was beneficial for Rossi to appeal to the public that he was paying for his "research" out of his own pocket, he did so. This worked to gain appreciation from his many worldwide fans. When it was beneficial for Rossi to give the appearance that he had important companies making significant investments in his work, he did so. Not many of his fans stopped to recognize the logical contradictions. During the January-May 2011 timeframe, two businesses, Ampenergo, based in the U.S., and Defkalion, based in Cyprus and Greece, reported that they had made significant payments to Rossi and investments in his idea. For a while, these two companies seem to have had a very cozy relationship with Rossi and appear to have been created for the single purpose of promoting and/or developing his device. There is no evidence that either company ever gave any substantial amount of money to Rossi. In the first few months of 2011, many news reports suggested that Defkalion had invested or was going to invest €200 million in Rossi's idea. The facts strongly suggest that Ampenergo and Defkalion didn't invest significant amounts of money, possibly none, but that they were part of a show designed to impress and attract real investors. By August, Rossi stated that Defkalion failed to make the first payment to him. Around the same time, Rossi asked Michael Nelson of NASA for $15 million and investor John Preston of Quantum Energy Technologies for at least that much to "test" his device. By February 2012, New Energy Times obtained hard evidence, an invoice from Rossi to a potential investor in Australia for $131,000, that Rossi was asking for money for something he could not deliver. How did highly educated professionals in the scientific community not recognize the multiple contradictions in the Rossi story? How did they not see the scientific failure of Rossi's claim? Most of them were easily distracted by their hope that Rossi's claim was true. 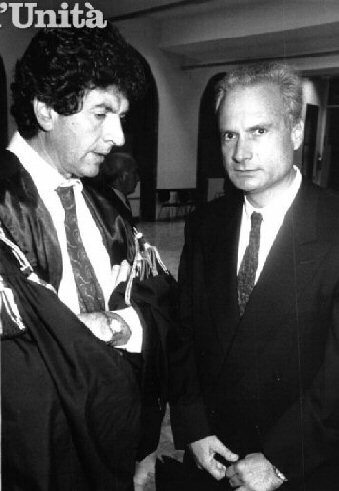 Most of the scientists who lent their reputation and credibility to Rossi were believers in “cold fusion,” one or two were advocates of hot fusion, and one was a Nobel Prize winner who was fond of the paranormal. Most of them had fought the war for “cold fusion” for two decades, and they were eager for vindication. Many are elderly and, particularly in the past two years, have seen several of their colleagues die. LENR pioneer Padmanabha Krishnagopala Iyengar died in December. His longtime colleague Mahadeva Srinivasan spoke of him in India's Daily News and Analysis. Both men worked at and were responsible for important LENR research at the Bhabha Atomic Research Centre. "In the recent months, [Iyengar] was very happy to learn of the development of the Ni-H Rossi reactor and the imminent commercialization of cold fusion," Srinivasan said. "Iyengar's bold and farsighted stand on this controversial subject stands vindicated." New Energy Times asked Srinivasan whether he felt vindicated by Rossi's claim, too. After Rossi's 11th performance, on Oct. 6, 2011, he continued to impress people like LENR researcher Edmund Storms and LENR fan and physics Nobel Prize winner Brian Josephson. One newer LENR researcher, Brian Ahern, who did not have a dog in the 23-year cold fusion fight was disappointed in the behavior of some of his peers, as he wrote in an Oct. 9, 2011, e-mail to the Condensed Matter Nuclear Science e-mail list. "There is a psychological torment associated with Rossi within CMNS," Ahern wrote. "I think I am witnessing the behavior of 7-year-old children who cannot bring themselves to give up on Santa Claus. "Rossi is not Santa Claus. He has been tried, convicted and sentenced in Italy multiple times." Rossi's energy adventures began when he was in his 20s. 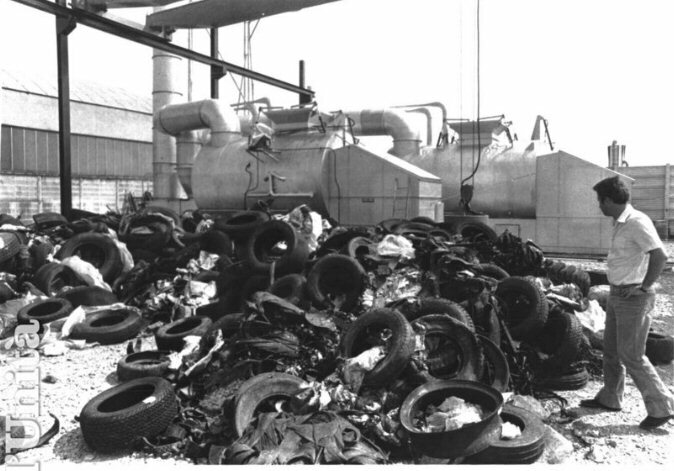 According to Rossi's personal account, in 1974 he registered a patent for a novel incineration system and in 1977 a patent for a high-temperature filter cleaner. Also, according to Rossi, he built a company that specialized in the production of waste incinerators. In 1985 and 1991, Rossi patented his Petroldragon ideas: processes for turning household and industrial waste into a liquid fuel. According to Rossi, President Jimmy Carter was so impressed with his technology that Carter offered him a permanent entry visa to the United States, hoping that Rossi might develop his work further in the U.S.
New Energy Times asked Rossi for a copy of the letter from Carter in advance of our June 15, 2011, interview with him, but Rossi forgot to bring the letter. There is no such thing as a "permanent entry visa"; perhaps this was a translation error that should have stated "permanent residency." Luigi Acerbi, the mayor of Lacchiarelli, Milan, Italy, however, in a May 5, 2011, Italian state television broadcast on RAI News 24, tells a different story about Rossi's Petroldragon. "In the years when [Rossi] was working here," Acerbi said, "he didn't produce a single drop of oil, as far as we know. What he did was creating just a media event. He was able to persuade — in a way that I cannot explain — a good portion of public opinion, and that's exactly what is hard for me to explain. He persuaded technicians in the field, scientists and important institutions, [inaudible] the region of Lombardia that he was able to do magic." In the RAI News documentary, two other government officials explained that Rossi polluted the ground and water with toxic waste. They stated that he created an environmental disaster that has cost Italian taxpayers €22 million and is expected to cost another €9 million before it is all done. According to a 1989 news story in La Repubblica, a newspaper with the second largest circulation in Italy, Italy's Guardia di Finanza, the financial police, conducted an investigation into the waste. "After chemical analysis," La Repubblica wrote, "it turns out that the substance is a mix of untreated toxic waste which contain highly dangerous chemical solvents with high presence of chlorine and sulphuric acid. In sum, a true bomb, highly dangerous. It seems that there is more. In at least one of the deposits, there appear to have been found traces of dioxin, the very dangerous poison of the Seveso tragedy." In Rossi's account of the story, he blames the failure of his Petroldragon venture on environmentalists, the media, the mafia, and the Italian government. According to Rossi, these parties engaged in a "smear campaign" to persecute and discredit him. Rossi wrote that, through 1996, he faced 56 trials and that he was acquitted in 51 of them. Rossi wrote that only five, all tax crimes, ended with convictions and imprisonments. According to Rossi, he left Italy in 1996 and took up residence in the U.S.
Rossi writes that he came to the U.S. in December 1996 bankrupt and without a penny. This is probably true. He writes that he began working for Bio Development Corp. in New Hampshire on biofuel research. Rossi writes that he allowed the company to use his patents and that, after a few months, it appointed him chief scientist. "Bio Development had a professional relationship with the U.S. Department of Energy to research renewable energy sources, and from this basis, [my] collaboration started," Rossi wrote. "[My] contribution was relevant: many new patent applications were filed, in [my] name, about energy production from non-fossil sources." New Energy Times was able to find only one patent, filed in 1998, by Rossi and William Dell'Orfano, the president of Bio Development Corp. and issued, US 6,051,110, on April 18, 2000. As of Aug. 1, 2005, that company was inactive. On April 22, 1997, Rossi registered Leonardo Corp. as the sole incorporator in New Hampshire. Corporate documents show that Rossi was the sole officer and director. Rossi has been using this corporation for his Energy Catalyzer business. Before discussing Rossi's next energy adventures with thermoelectric devices, let's review the key business entities that were involved. Back on June 2, 1998, several people registered USA Nuclear Laser Inc. in Ohio. According to journalist Mats Lewan, USA Nuclear Laser Inc. was founded by Rossi, Robert Gentile and Craig Cassarino. The company was renamed Leonardo Technologies Inc. on Aug. 26, 1999. Rossi did his work with thermoelectric devices through Leonardo Technologies Inc.
Gentile was also the assistant secretary of energy for fossil energy at the Department of Energy from Feb. 26, 1990, to June 29, 1991. According to Lewan, Gentile and Cassarino worked for 10 years on federal contracts from the U.S. departments of Defense and Energy that amounted to several millions of dollars. Lewan did not state in what capacity Gentile worked on those contracts. Lewan also wrote that Gentile and Cassarino were awarded a recent Department of Energy contract for $95 million. 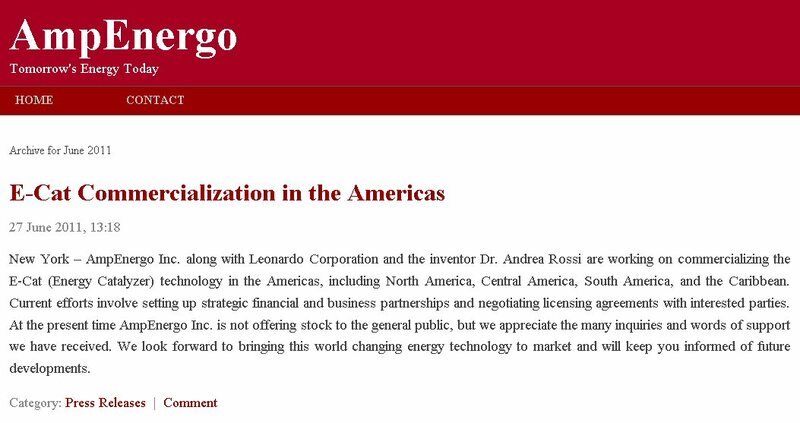 Rossi's Leonardo Technologies Inc. associates reappear in the Energy Catalyzer story a decade later. On April 20, 2009, they incorporated Ampenergo Corp. in Ohio. On April 6, 2011, they registered it as a foreign corporation in New Hampshire. By all appearances, the company was founded for the single purpose of developing and/or promoting Rossi's Energy Catalyzer. Cassarino signed the New Hampshire document the same day Defkalion Green Technologies registered its corporation in Greece. Ampenergo registered its company's domain name on Dec. 28, 2010, two weeks in advance of the Jan. 14, 2011, Energy Catalyzer demonstration and press conference. The Cypriot portion of the company, Praxen Defkalion Green Technologies, registered its corporation in Cyprus on Dec. 28, 2010 as well. According to Lewan, the founders of Ampenergo are Gentile and Cassarino, Karl Norwood and Richard Noceti. Lewan wrote that Rossi had known the founders of Ampenergo since 1996 and that Rossi was also a founder of Leonardo Technologies Inc. Lewan wrote that Rossi sold his stake in Leonardo Technologies Inc. in the late 1990s. Even though two of the founders of Ampenergo were also founders, along with Rossi, of Leonardo Technologies, it was Ampenergo, not Leonardo Technologies, that became Rossi's new partner. Ampenergo is different because it includes Norwood and Noceti. 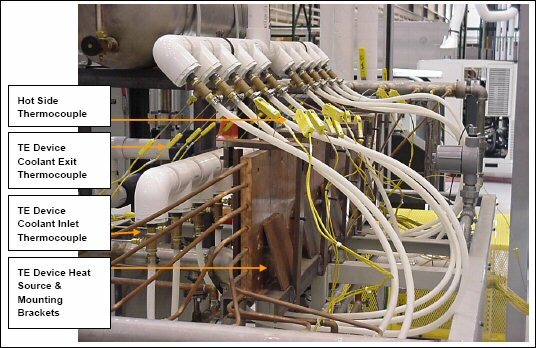 In a May 16, 2011, Ny Teknik article, "Energy Catalyzer Gets U.S. 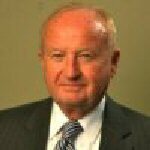 Partner," Lewan introduced readers to Ampenergo as Rossi's new U.S. partner. In the article, Lewan interviewed Cassarino, who said that Ampenergo paid Rossi a large sum of money to develop and/or promote Rossi's Energy Catalyzer. Cassarino told Lewan that Ampenergo signed an agreement with Rossi in March 2011. Lewan also wrote that Rossi's new partners had ties with U.S. Department of Energy authorities. These statements support Lewan's contention that well-funded, well-qualified, independent individuals from Ampenergo had performed due diligence on and verified the Energy Catalyzer. This news helped to build the public’s confidence in Rossi's device. When Lewan wrote his story, he misrepresented several facts. 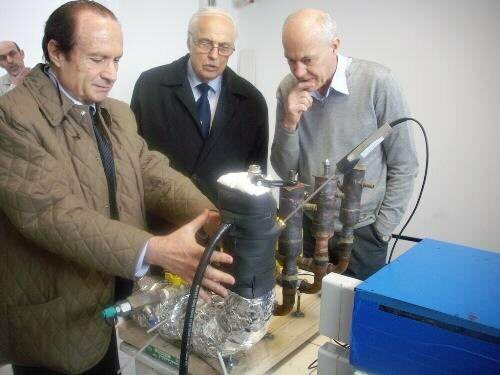 "Andrea Rossi, the energy catalyzer inventor," Lewan wrote, "has reached an agreement with a new company in the United States. The agreement builds on several years of contacts with people linked to the U.S. Department of Energy. ... Links to U.S. authorities are evident." There were no authorities. New Energy Times asked Lewan what he meant by "U.S. authorities." "I might have misunderstood the use of ‘authorities’ in English," Lewan wrote. Lewan said that he was referring to the fact that Rossi had links with only one former authority (Gentile), who was employed by the Department of Energy [from 1990 to 1991]. Lewan said that the other people were the members of the private firm Leonardo Technologies Inc., which had received contracts from the Department of Energy. There are other problems with the story as told by Lewan, Rossi and Cassarino. The corporate and domain registrations indicate that an agreement between the parties was made long before March, long before the first public demonstration of the Energy Catalyzer. And there is another problem. On July 14, 2011, Michael Nelson, an engineer at NASA Marshall, hosted a visit by Rossi. NASA agreed to Rossi's offer to test and confirm Rossi's claims if he covered the costs, $50,000. A few days later, after Rossi announced on his blog that he would work with NASA, Rossi declined the test. One theory about why he changed his mind is that Rossi never intended to allow NASA to conduct a test but that he just wanted credibility through the association. By July, Rossi had allegedly been paid a large sum of money from Leonardo Technologies Inc., and Defkalion had allegedly invested €200 million in Rossi's idea. 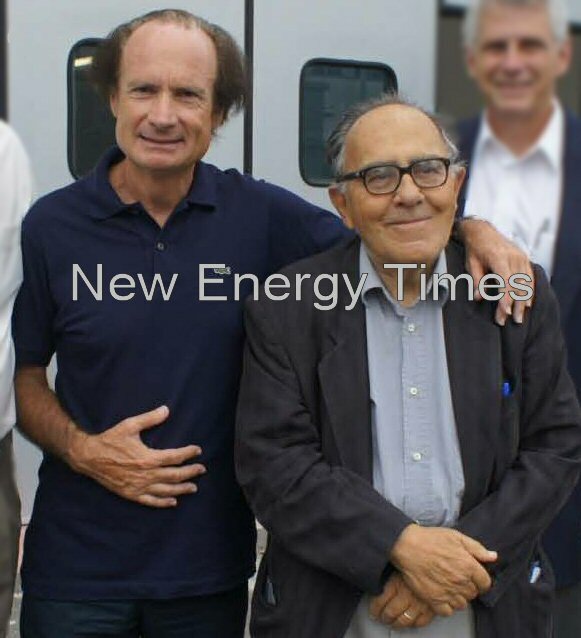 The only physical evidence of funds invested for Rossi's Energy Catalyzer is the empty, apparently leased garage in Bologna, the shipping container, and the 50 boxes with associated plumbing and electrical parts. But Defkalion seemed to be involved before the first public Energy Catalyzer demonstration, too. It registered its domain name the day before the Jan. 14, 2011, demonstration. And the Cyprus branch of Defkalion registered its corporation on Dec. 28, 2010, the same day Leonardo Technologies Inc. registered its domain name. On June 10, 2011, rather than presenting scientific data, Lewan published statements that built public confidence in the Energy Catalyzer. "Like Rossi’s U.S. partner, the Ampenergo company, Defkalion claims to have verified the function of the energy catalyzer," Lewan wrote. Let's go back to 2000 and follow Rossi and his colleagues' adventures with thermoelectric devices. By 2000, Rossi had finished his Petroldragon adventure, and he worked on biofuels for a few years. 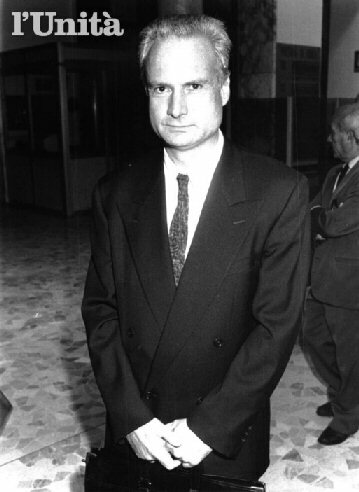 He traveled back to Italy in 2000, but on his arrival at Rome airport, he was arrested again and imprisoned, according to Rossi, for bankruptcy. People are not usually arrested for bankruptcy. The Italian newspapers wrote that Rossi's trouble with the law stemmed from tax evasion, fraud, and polluting the environment with toxic waste. He managed to get out of jail and return to the U.S. and begin working on thermoelectric devices through Leonardo Technologies Inc. The odd thing about Rossi's personal account is that, although he mentioned many activities, he omitted all mention of his thermoelectric activities. In 2000, under a Department of Energy grant, Rossi and his colleagues arranged for tests of a novel thermoelectric device at the University of New Hampshire. According to a U.S. Army report on that research, his devices worked extraordinarily well and provided breakthrough levels of efficiency. On Oct. 4, 2001, Rossi filed an application for a U.S. patent on a thermoelectric device, and it was issued, US 6620994 B2, and assigned to Leonardo Technologies Inc., on Sept. 16, 2003. Before the patent was issued, from 2001 to 2003, Rossi and his colleagues were able to obtain a Department of Defense contract with the Army to do further development on thermoelectric devices. Strangely, the novel results observed at the University of New Hampshire could never be repeated. According to the Army Report, not one of the devices Rossi had agreed to deliver under contract worked. The devices produced only 1 watt. Rossi had claimed the devices would produce 800–1000 watts each. The first part of the report was about the building and testing of Rossi’s devices; the second part was an analysis of how such devices would be beneficial to the Department of Defense, had they worked. Rossi and his Leonardo Technologies Inc. colleagues, who later became Rossi's Ampenergo Energy Catalyzer colleagues, profited from the patent application before it was issued; the Army awarded them a two-year research contract. Rossi finished his personal account with a vague reference to a new, patented energy source. "In 2009, I went back to the U.S. permanently, and I directed the development of a new energy source, patented by myself, to which the U.S. institutions assigned the priority status," Rossi wrote. This is the timeframe when Rossi began working on what he later called his Energy Catalyzer. He has no U.S. patent on such a device. Rossi befriended Focardi in 2007. Angelo Saso, a journalist with Italian public television, spoke with Focardi for a May 5, 2011, broadcast. "It was a very interesting meeting because it came at a time which I had given up any research activity," Focardi said. Two years later, in 2009, Rossi began a series of strategic moves to interest other scientists in his big claim. But in between, starting in 2008, Rossi worked to patent his claim. Normally, inventors file the WIPO application first, but Rossi did things in reverse. Apparently he knew about the new Italian patent laws that were to take effect on July 1, 2008. and wanted to take advantage of the old law, which did not require examiners to investigate the merits of the claims or search for prior art and novelty. Some background on WIPO applications may be helpful. In 1970, representatives of 18 nations established the Patent Cooperation Treaty (PCT) at a convention in Washington, D.C., to provide uniform procedures to submit a patent application to several countries simultaneously. The treaty is administered by the WIPO, and WIPO also helps to perform an initial review of the patentability of an application. WIPO does not grant patents; it is more of a clearinghouse as well as an agency which an inventor can use to establish a filing priority date. Rossi filed his patent application with WIPO-PCT on Aug. 4 2008. WIPO completed its international search for prior art on March 6, 2009. On March 23, 2009, WIPO completed its first "written opinion of the international searching authority." In its opinion, WIPO dismissed all 15 of Rossi's claims. This was the first of a series of rejections. His claims were anticipated by prior art, contained no inventive steps, or had been publicized. The only exception was his “secret catalyst,” which he has refused to disclose to everyone, including the patent office. This is not how the patent system works. A fundamental philosophy of patents is that, in exchange for receiving intellectual property protection, the inventor is expected to share and thus teach the public the crucial aspects of the invention. "The application does not meet the requirements of Article 5 PCT as the description does not disclose in a manner sufficiently clear the invention," the WIPO opinion stated. "In the description, it is claimed that the reaction of hydrogen with nickel is generating energy. However, there is no explicit evidence of energy production in the description or figures, as would be temperature measurements, radiation emission measurements, or any alternative measurements showing production of energy." WIPO found that Rossi's application disclosed nothing new beyond the prior art of low-energy nuclear reaction researchers Yoshiaki Arata and Francesco Piantelli. The only exception was Rossi's claim of a "secret catalyst." But WIPO did not agree that Rossi's general statement about the use of a catalyst constituted an inventive step. "The solution proposed in claim 2 of the present application cannot be considered as involving an inventive step [because] catalysts in general have the purpose of enhancing chemical reactions and a person skilled in the art would always consider using catalysts in enhancing chemical reactions," the opinion stated. Rossi did not disclose any details about a "secret catalyst"; therefore his claim of a catalyst did not constitute an inventive step. Furthermore, the WIPO examiner had difficulty with Rossi's application because he was making claims of "cold fusion." "At present, cold fusion," the examiner wrote, “which is the basic explanation given in the description of generating energy, is not accepted as mainstream science and technology." On Nov. 9, 2009, Rossi tried a second time. He reworded and renumbered his claims and submitted his revised WIPO patent application. Rossi anticipated that WIPO was going to issue an unfavorable report again. The WIPO written opinion would leave no other option: If Rossi was going to get a patent, he was going to have provide either a theory or physical proof — demonstrations — that his device worked as he claimed. Rossi initiated Plan B. On Feb. 26, 2010, Rossi created a scientific journal, “Journal of Nuclear Physics,” to promote his device. On Feb. 28, 2010, Rossi uploaded a paper "A New Energy Source From Nuclear Fusion" to his journal. He wrote it with his new colleague, Sergio Focardi, professor emeritus at the University of Bologna. As the pair later explained, Focardi knew nothing about the secret catalyst and nothing about the internal mechanism of the device. Rossi also invited other researchers to submit papers. He assembled a board of advisers, and he appointed himself the editor of the journal. As Rossi expected, on June 15, 2010, after WIPO conducted another examination, it wrote its "International Preliminary Report on Patentability" and determined for a second time that all 15 of Rossi's claims were not patentable. At a later date, Rossi began telling people that the Energy Catalyzer could work without the secret catalyst. Assuming his application was patentable, Rossi would have had about 31 months to file patents with the countries of his choice, known as the "national phase." Rossi pushed forward. Only Rossi knows the number of countries in which he filed patent applications, but we know he filed in Italy, the U.S. and in Europe. The Italian patent later issued, but it provides limited geographical protection. As well, it will require an examination if someone challenges it. On Sept. 16, 2010, Rossi submitted a patent application to the United States Patent and Trademark Office (USPTO) and, on Aug. 20, 2010, to the European Patent Office (Click here to download an 11MB zip file of the EPO documents.) The EPO provides intellectual property protection in several European countries. "In an attempt to overcome the above rejection grounds, a detailed experimental technical evidence has been herein submitted in the accompanying enclosures," Rossi wrote. "Applicant hopes that the examiner would be able of evaluating, from these enclosures, the viability of applicant invention." One of those enclosures was his own paper that he uploaded to his own journal. The other was a paper by Jacques Dufour, “Is the Rossi energy amplifier the first pico-chemical reactor?" “In this paper we report the results obtained with a process and apparatus not described here in detail and protected by patent in 90 countries," Rossi and Focardi wrote. This was Rossi's first "scientific" paper on his Energy Catalyzer device. However, he failed to describe his process and apparatus in detail. The second thing is that the only patent protection Rossi has for his device is in Italy. His claim of patent protection in 90 countries was a lie. Note that there are some differences between the Rossi and Focardi paper attached to the EPO application and the Rossi and Focardi paper on Rossi's Web site. Rossi did not wait to see whether the USPTO and EPO patent examiners would accept his and Dufour's papers as proof of the patentability of his device. Rossi started Plan C.
Plan C included getting a few qualified physicists who were associated with prestigious universities to participate in and endorse public demonstrations of his device. It included getting news agencies, both print and online, to publish news of the demonstrations and his endorsers' reports. To help generate attention, he or his agents also started about 80 Web sites nearly exclusively devoted to promoting Rossi and his device. The formal EPO examination had now begun . Rossi could start submitting supportive documents from third parties. But this also meant that any third party could also submit documents in objection to his patent application. So from March 3, 2011, through May 17, 2011, Rossi and other people began submitting documents. Marco Celestino, for example, on behalf of Francesco Piantelli, filed a paper claiming that Rossi's claims 1 through 9 were not patentable, listing many of the same reasons that were stated in the WIPO negative opinions. On March 9, 2011, Rossi submitted a Feb. 2, 2011, news article by Mats Lewan of Ny Teknik, “Cold fusion may provide one megawatt in Athens,” as proof that Rossi's device worked. And someone identified as "Bruce Banner" faxed in a letter quoting Rossi himself saying the only thing that was new in his invention was the “secret catalyst.” Therefore, as Banner explained, because Rossi did not disclose that information in his patent application, it should be denied. Throughout 2011, Rossi put on many demonstrations, responded to thousands of messages on his blog, and arranged to get more scientists and news organizations to write articles about him and his device. Rossi kept saying that he was not going to continue making public demonstrations. But he wasn't making progress with the patent office, so he tried a few more demonstrations in September and October 2011. On Sept. 5 and 6, Rossi put on two demonstrations and tried to get money from investor John Preston. Rossi's demonstration failed, and Preston kept his money. Rossi planned another demonstration, slated for Oct. 6, in an attempt to impress the EPO patent examiner. On Sept. 9, 2011, Rossi invited the examiner to the demonstration. With reference to the subject-matter of the Application in re, we wish to inform you that an experiment run by the Inventor, Mr. Rossi Andrea, on a module of a 1 MW plant, will take place on October 6, 2011 in Bologna (IT), at a laboratory made available by the University of Bologna. This experiment will be attended by professors from the Royal Swedish Academy of Sciences, as well as by professors in physics from the U.S.A., China, Japan, France, Great Britain, Greece, Russia and Italy. An official report will be published and made available on the Internet at a later date. In this connection, the applicant would be glad to invite the EPO examiner in charge of the application to attend the above experiment as a guest. But the patent examiner declined Rossi's invitation. For the record, the experiment was not performed in a laboratory nor in a room belonging to the University of Bologna. The room, in which Rossi has always performed his demonstrations, was an empty garage behind the Rossi Brothers tire shop. However, in his response, the EPO examiner gave Rossi some hope that his demonstration could help his cause. "Results of the experiment can be presented to the EPO as supplementary technical information," the examiner wrote. "In this case, the results would be considered during the examination process." In one of the more extraordinary twists to the Rossi saga, journalist Mats Lewan recorded the data for Rossi, by hand, in the Oct. 6 demonstration, violating a fundamental principle of journalistic independence. And Rossi wrote no report; Lewan wrote it for him, and this is what Rossi sent to the examiner, hoping to convince the examiner to grant the patent. We now arrive at the Oct. 28, 2011, demonstration, performed, according to Rossi, to allow an unidentified customer to verify that the 1 MW device worked as claimed. A man identified by Rossi as the customer's representative, Domenico Fioravanti, signed off on the pre-printed form below the line that stated "The results of the test are satisfactory to accept the delivery." The next day, on his blog, Rossi told his fans that the 1 MW Energy Catalyzer was gone, delivered to the customer. As readers who have followed this saga know, that was a lie. But that did not become public knowledge until two months later, on Jan. 12, 2012, when Rossi revealed in his own promotional video that the big blue box hadn't moved. So on Nov. 10, 2011, Rossi informed the EPO examiner about the Oct. 28, 2011, demonstration. As before, Rossi provided a copy of a news article by Lewan, "TV: Half a megawatt E-cat in Bologna," for a supporting reference. Rossi also provided the report he had prepared, signed by Fioravanti, that certified that the device worked as claimed — and 153 pages of raw data. Rossi's next attempt to convince the EPO examiner took place on Dec. 27, 2011. He sent in a five-page list of items and news stories published by Sterling Allan from his Pure Energy Systems News Web site. Allen, like Lewan, also violated a fundamental principle of journalism. As Allen told New Energy Times, he is a sales agent for Rossi. Allen also told New Energy Times that Rossi had offered to pay for Allen’s work on Rossi’s Web site . Among the documents Rossi sent to the EPO on Dec. 27, 2011, was a statement by Rossi that physicist Francesco Celani, with the Italian National Institute of Nuclear Physics in Frascati, has confirmed Rossi's device. "We wish to inform the examining division that a well known Italian physicist, Dr. Francesco Celani, has recently carried out and tested himself the subject-matter of the patent application in re, as reported on the PESN (Pure Energy Systems Network)...The Applicant wishes to point out the above result in order to draw the attention of the Examiner on the importance of the present invention," Rossi wrote. 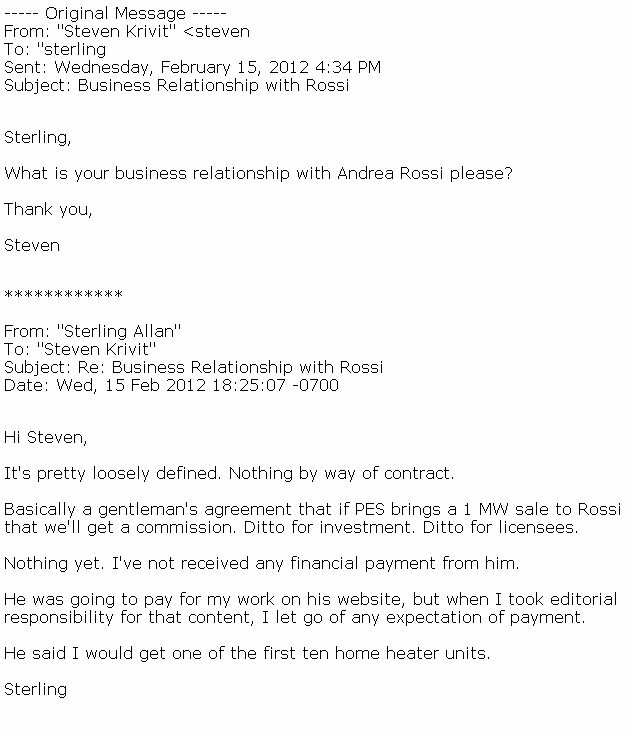 In response to a Feb. 24, 2012, e-mail from New Energy Times, Celani denied Rossi's assertion. "My procedures were, in several aspects, different from Rossi," Celani wrote. The last document in that set shows that Rossi's wife, Maddalena Pascucci, has transferred the rights to the three patent applications to the Florida-based Leonardo Corp., owned by Pascucci and Rossi. We do not know the reasons for this transfer. A deadline is approaching for Rossi and his Italian patent. In the U.S., there is no requirement for an inventor to reduce his or her invention to practice - that is, to make and sell it. But in Italy, there is. According to Marco Porsia, a patent and trademark attorney in Italy, if Rossi does not manufacture and sell his E-Cats within four years of the filing date of his Italian patent, he loses his exclusive rights to the Italian patent. If he defaults on a reduction to practice, he must issue a compulsory license on request to anyone who wants to use his patent. Rossi's deadline is in a month, on April 9. When a U.S. and EPO patent is issued, the inventor can sit on it doing nothing for the life of the patent. But this is not true in Italy. There, the inventor must "reduce to practice" or make and sell his invention (not just prove it works in a demonstration) to keep and hold his exclusive rights to his patent. According to Italian law, Rossi must also maintain continuous production and sales, or he could lose his rights. Even though Rossi has led many people to believe that he has sold a device and he has such a facility, he has shown no evidence of either. And as we go to press, Rossi was telling his fans on his blog that everything was just fine. "Our customers are working in peace," Rossi wrote. 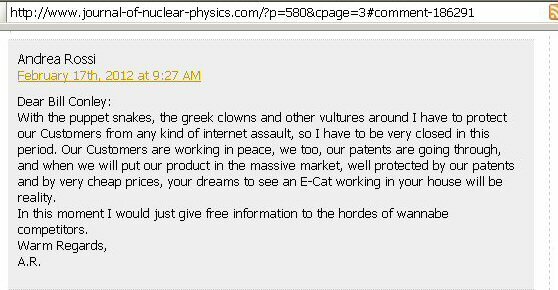 "We too, our patents are going through, and when we will put our product in the massive market, well protected by our patents and by very cheap prices, your dreams to see an E-Cat working in your house will be reality." * Robert Clancy is a pseudonym. New Energy Times has agreed to attribute his work to a pseudonym to avoid compromising other related investigations he is working on. I've been following your work and the developments in LENR for the last six months or so. As a patent attorney, I'm particularly interested in the patent and intellectual property issues. I particularly liked yesterday's in-depth article by "Robert Clancy." you would even want to publish my comments given that they are more technical corrections/restatements. However, I just wanted to reach an agreement with you ahead of time so there are no surprises. Let me know if you are interested in my feedback and if you would agree not to publish my name. Comment: While technically inaccurate, it is quite common for inventors to refer to their technology as “patented” when it merely has patent pending status. Given Rossi's history with filing other patents he should know the difference, but its possible he was just speaking casually. Comment: I do a lot of work on PCT applications and I have never experienced a case that was filed internationally first. Every PCT application I have ever worked on was filed in the inventors country of origin prior to filing internationally. I have not researched the issue, so my experience might be abnormal. The author makes a good point about the change in Italian law. However, a non-examined patent would hold next to no precedental weight in any jurisdiction requiring examination. While it might have some marketing benefit, any half-aware investor would know that it is meaningless. The reason applicants choose PCT applications is entirely to do with money. Filing patent applications is expensive, especially if filing in multiple countries. The PCT application process extends the amount to time an applicant has to decide whether to pursue patent protection in other jurisdictions. Prior to the PCT, the Paris Convention governed international patent filings. Under the Paris Convention, an applicant would file in a first country, typically their home country or the country of their employer. Then the applicant would have one year to file directly in any other country. Under the PCT, after filing in the first country, the applicant has one year to file an international application with an international receiving office and designate all of the countries where the applicant wishes to receive patent rights. Next, the applicant has 18 months to file national stage applications in each of the designated countries. The extra 18 months gives applicants time to evaluate the value of the patent application and the underlying product. If the application appears to be a dud, the applicant does not have to go forward with the expense of the national stage applications. If the applicant knows that they are going to have a blockbuster product, it would be cheaper to file internationally under the Paris Convention (which is still an option) because this saves the cost of filing the intermediate PCT application. However, if the applicant is unsure about the value of the patent, then the PCT approach allows for more time to decide. The applicant basically pays more upfront with a Paris Convention, but saves money in the long run. In contrast, the PCT is cheaper upfront (because of the optional delay in filing national stage applications) but costs more in the long run. Comment: These applications should be referred to as PCT applications. If the PCT application is filed with WIPO as the international receiving office, then it could be referred to as a PCT application filed at WIPO. WIPO is not the only office that can accept PCT application filings. The USPTO, among others, can also serve as the so called international receiving office. WIPO *can* perform an initial review at the election of the applicant, but this is an optional part of the process. Some foreign patent offices offer is counted fees if WIPO performs the search and initial report. Comment: The statement that his claims “had been publicized” is redundant. Claims can only be anticipated if the subject matter thereof has been publicized. This application will likely undergo US examination sometime in the next year or so. Under US law, the “inventive step” requirement is known as being non-obvious (35 U.S.C. 103). Even if the subject matter is not anticipated (has not been disclosed), it might still be obvious. For example, if the subject matter contains only minor differences from that which has previously been disclosed, even though it is not anticipated it would be obvious to “one skilled in the art or trade at the time of the invention.” The US also has a written description requirement that requires the applicant to disclose sufficient details to enable one skilled in the art to practice the invention. As the author noted, the secret catalyst would almost certainly fail this enablement requirement. However, that would not doom the entire application, only those claims that that rely on the catalyst. The question would then be whether the claims can stand alone as novel and non-obvious without the listing the catalyst. That is, if the catalyst is the only aspect of Rossi's disclosure that has not been previously disclosed, then he would be unlikely to have any of this claims granted. The US also has a “utility” requirement (35 U.S.C. Sec. 101) that is frequently used to block patents that violate the known laws of physics, such as perpetual motion devices. However, the use of this utility requirement has been fading lately and instead the patent office appears to focus more on the written description requirement. Accordingly, ground breaking patents typically have a higher hurdle when it comes to the written description. An applicant cannot simply rely on what is commonly known in the field if the applicant is describing an entirely new field of endeavor. are snapshots from the earliest filing date. In Rossi's case, he cannot add any new subject matter that was not contained in his Italian patent application. Comment: When filing a PCT application, the applicant must designate all of the countries where the applicant intends to file national stage applications. This designation is non-binding in that the applicant can file in less than all of the designated countries. However, the Applicant cannot file in a country that was not designated earlier. if it was made after the National Stage deadline and he did not file in all of the designated countries, then yes its probably a lie. Comment: The US does have a requirement that an invention be reduced to practice. However, this requirement can be met constructively rather than by a physical prototype/embodiment. This goes back to the written description requirement, and the prohibition on new subject matter being added after the filing date. The written description is considered a constructive reduction to practice of the invention. If one skilled in the art cannot recreate the invention without undue experimentation, then it is determined that the applicant has not actually reduced the invention to practice. You don't get a patent for your ability to build a device, you get a patent for your ability to teach others how to build the device. Also, the U.S. charges maintenance fees for any granted patent to keep it enforce. Failure to pay a maintenance fee will make the patent unenforceable. This aspect of the patent laws seeks to push unprofitable or marginally profitable inventions into the public domain. The current maintenance fees are: 1,130.00 at 3.5 years; 2,850 at 7.5 years; and 4,730.00 at 11.5 years. New Energy Times wrote: "Jan. 13, 2011 Rossi files U.S. patent application for Energy Catalyzer." New Energy Times wrote: "Sept. 16, 2010 Rossi files U.S. Patent Application US 2011/0005506 A1"
Comment: This entry lists the publication number 2011/0005506, but as noted above, the application didn't publish until Jan. 13, 2011. It might be clearer to use the Application Serial Number 12/736,193. It would be preferable to indicate that this is the U.S. national stage application of his PCT (international) application PCT/IT/2008/000532 filed on Aug. 4, 2009. New Energy Times wrote: "Aug. 4, 2008 Rossi files WIPO patent application, WO2009/125444 A1 for Energy Catalyzer." Comment: Same issue as above, you list the Publication Number (WO2009/125444 A1) rather than the Application number (PCT/IT/2008/000532), which might lead some readers to believe that there are more patent applications floating around out there than there really are. And just to be clear, the PCT application, and therefore the U.S. National Stage application, are no different (aside from being translated) from the Italian application. An inventor cannot add any new information into the international and national stage applications even though they can be filed 18 and 30 months later in time. New Energy Times wrote: "Dec. 31, 2003 Rossi files application for second U.S. patent on thermoelectric generator US 2005/ 0028858 A1. (As of 2011, not issued.)" Comment: This application received a non-final rejection on Aug. 9, 2007 and was abandoned in May 2008 for failure to respond to the rejection. While its true that the application has "not issued," it would be more correct to state that it is not ever going to be issued.